This false-color Chandra image of a supernova remnant shows X-rays produced by high-energy particles (blue) and multimillion degree gas (red/green). In 1006 AD, what was thought to be a "new star" suddenly appeared in the sky and over the course of a few days became brighter than the planet Venus. 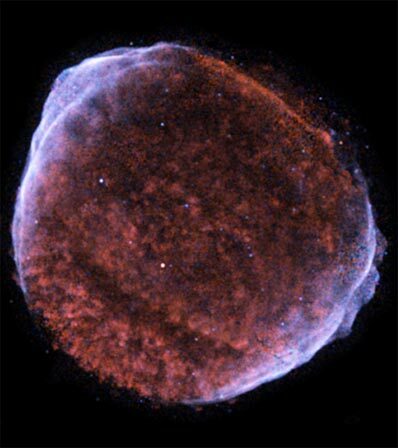 The supernova of 1006, or SN 1006, may have been the brightest supernova on record.